Click on the arrow above to listen to this episode. I have to confess: I am obsessed with Alicia Florrick, the successful attorney on The Good Wife, and Olivia Pope, the high-powered Washington D.C. “fixer” on Scandal. 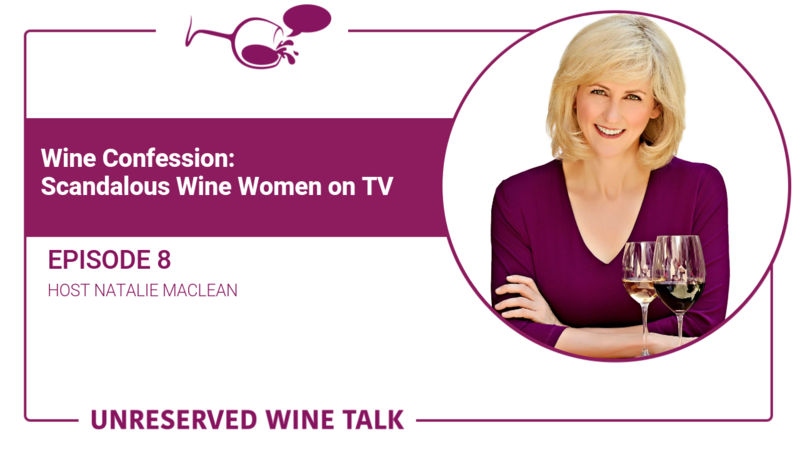 In this episode, I’m going to share with you my secret obsession with the wine drinking habits of these women on television and what I believe that says about our cultural relationship with wine. How have alcoholic beverages featured with women on TV changed over time? What do Alicia Florrick and Olivia Pope have in common with Philip Marlowe? How does wine act as a key plot device on Scandal? Does red or white wine pair better with political intrigue? Have the extra-large glasses featured on many TV shows impacted the real-life wine world? Do TV’s leading men share in the wine habits of the leading women? Why do I connect so much with Alicia Florrick and Olivia Pope? What is the common thread connecting many of these wine moments on TV? Join me on the Sunday Sipper Club on Facebook Live Video every Sunday at 6 pm eastern. You’ll find my books here, including Unquenchable: A Tipsy Quest for the World’s Best Bargain Wines and Red, White and Drunk All Over: A Wine-Soaked Journey from Grape to Glass. The new audio edition of Red, White and Drunk All Over is now available on Amazon.ca, Amazon.com and other country-specific Amazon sites; iTunes.ca, iTunes.com and other country-specific iTunes sites; Audible.ca and Audible.com.